In this illustration, one photon (purple) carries a million times the energy of another (yellow). Some theorists predict travel delays for higher-energy photons, which interact more strongly with the frothy nature of space-time. 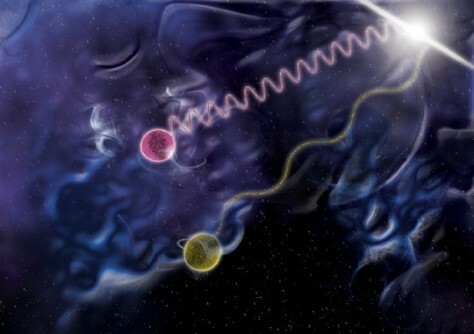 Yet new data on two photons from a gamma-ray burst fail to show this effect.